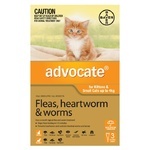 Advocate is the complete all-in-one parasite protection against fleas, worms and more. 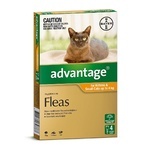 Advocate not only treats parasite infections, but monthly treatment can help protect your cat against fleas, heartworm and most gastrointestinal worms. 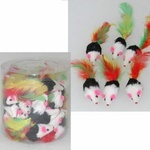 An easy-to-use spot-on, it is applied monthly. 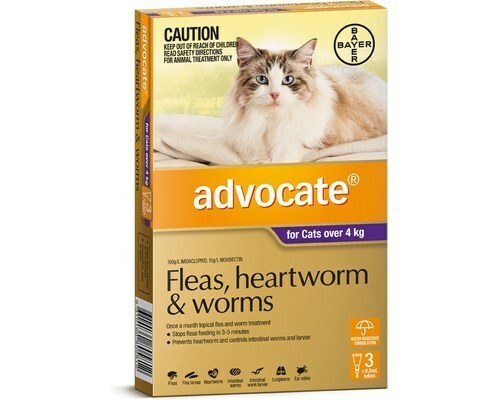 The super ingredients in Advocate provide fast relief from fleas, prevent deadly heartworm and protect both your cat and your family from most gastrointestinal worms. 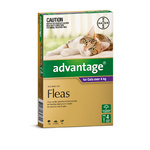 Advocate stops fleas feeding within 3 to 5 minutes, killing adult fleas and their larvae within 20 minutes - helping to break the flea lifecycle. 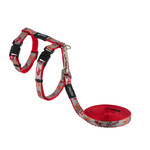 With monthly use, it also protects your cat from the danger of heartworm infections. 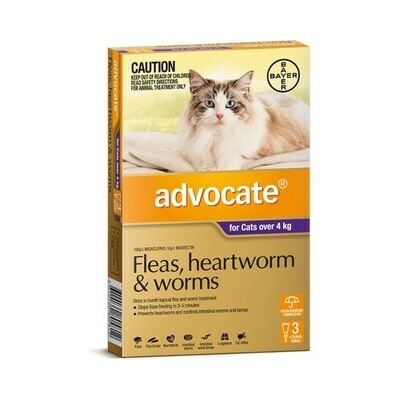 Plus Advocate aids in the prevention and control of lungworm. 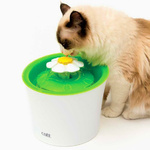 It kills mites too and is water-resistant. 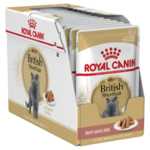 It all adds up to the most thorough parasite protection available for your cat. Remove required tubes from the packet. Hold tube upright away from you and pull the cap off. Reverse the cap and push cap back on the tube. Twist cap to break the seal, then remove the cap from tube. After use replace the cap on tube. 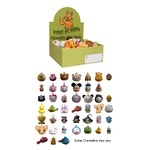 Dispose of used tubes and packaging by wrapping in paper and place in garbage.